As usual feelings within the vaping community are running high when it comes to the subject of clones. In case you are unaware clone is the name given to a cheaper copy of a popular device, often these copies are obviously cheap, made from crap materials with sub standard machining, they should be avoided as they may prove to be unfit for purpose in the long term and so be a complete waste of money. For a little more money though you can buy a well made clon e, which is likely to be virtually as good a quality as the original for a quarter or less of the price. 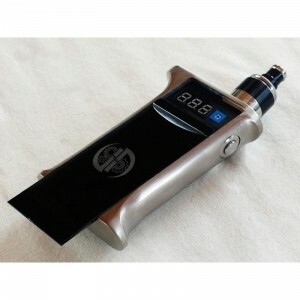 As you may be aware vaping as a pastime is growing at a huge rate as people the world over take it up in an effort to quit smoking, you may also be aware that some people choose to collect vaping gear as a hobby, with some of the more sought after pieces being sold for hundreds of pounds. The makers of these devices will only produce limited amounts in order to keep demand and prices high and to then work on their next product which may well include some innovation in this fast changing environment. 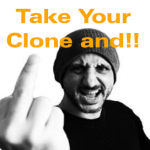 The makers of clones then see a demand and make the products to suit, these are always originally sold as copies with no effort to deceive being made, but still they are copies which are branded as originals. If you are on a tight budget the best, most innovative device you can get for your money is often a good quality clone, just don’t try to pass it off as an original because someone in the know will eventually call you on it and no one likes to look a fool. This entry was posted in Vapeology and tagged clones, high end, keyboard warriors. Bookmark the permalink.